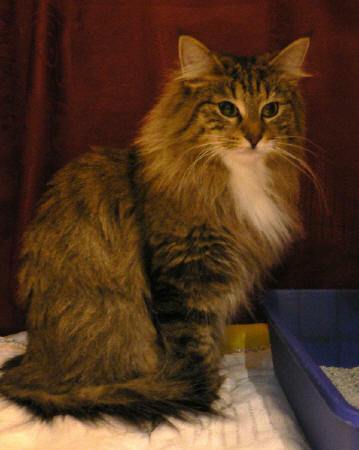 Elvira came to us in April 2007. She is a dream come through - my little princess from the North. Elvira is the sweetest cat ever. 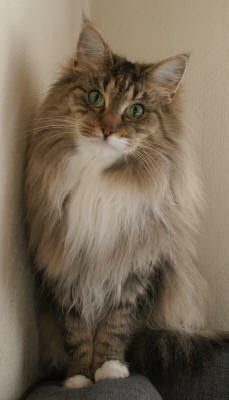 She is a beautiful girl with lovely NFO qualities. 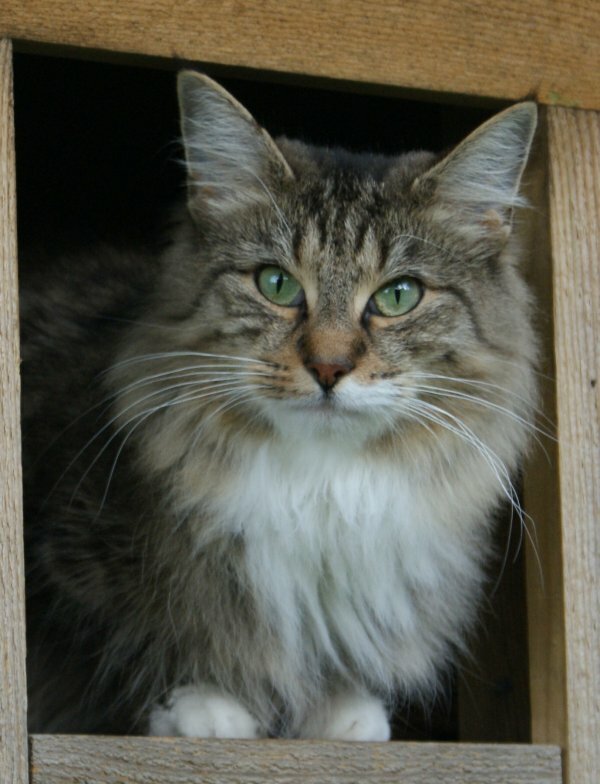 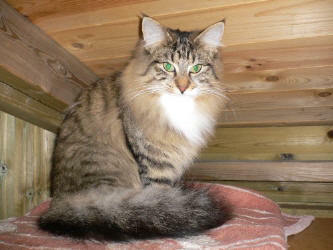 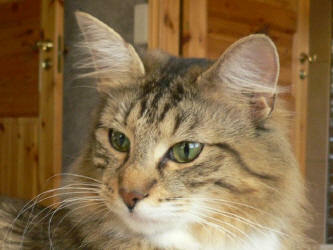 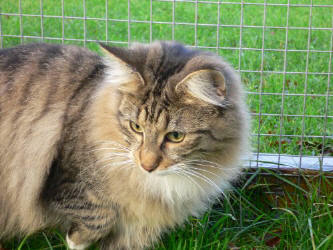 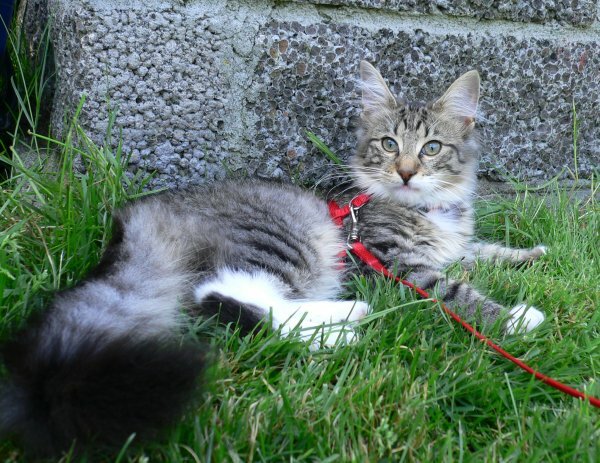 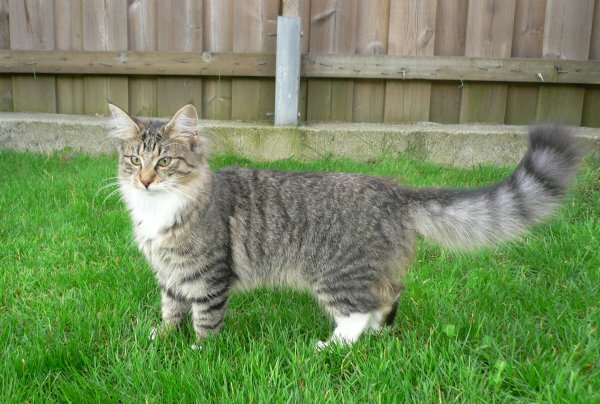 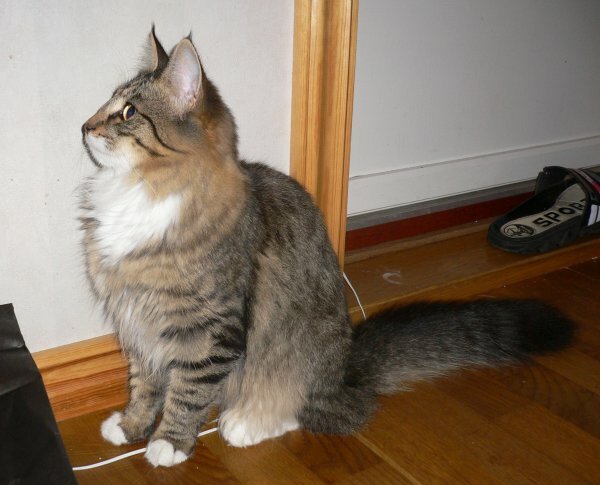 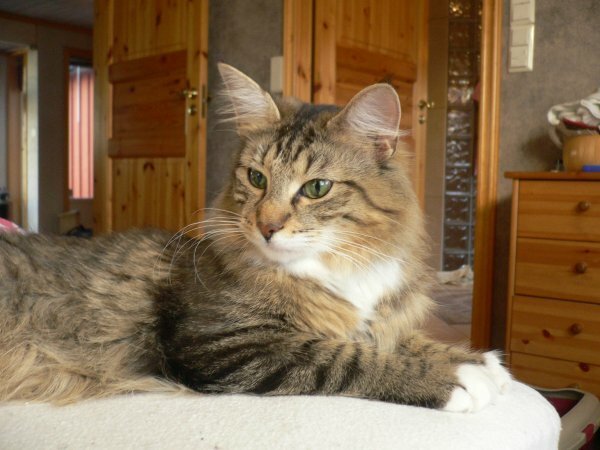 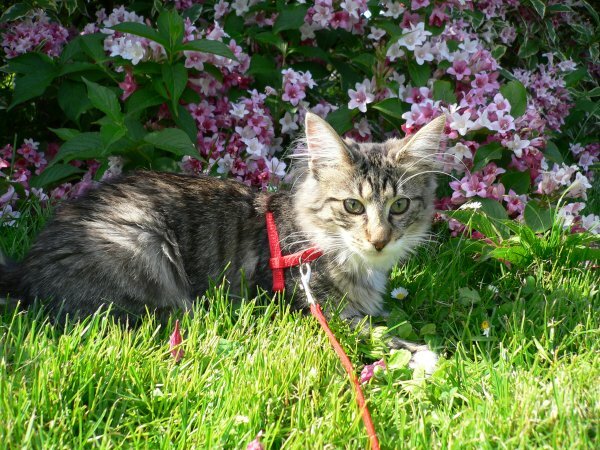 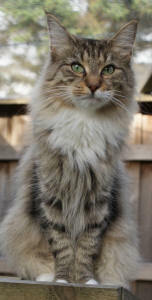 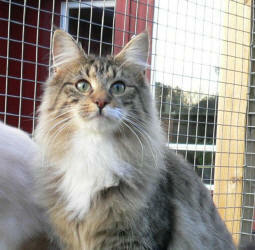 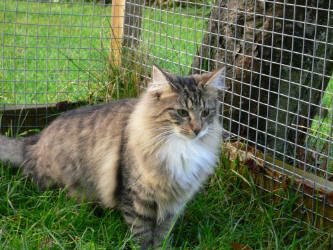 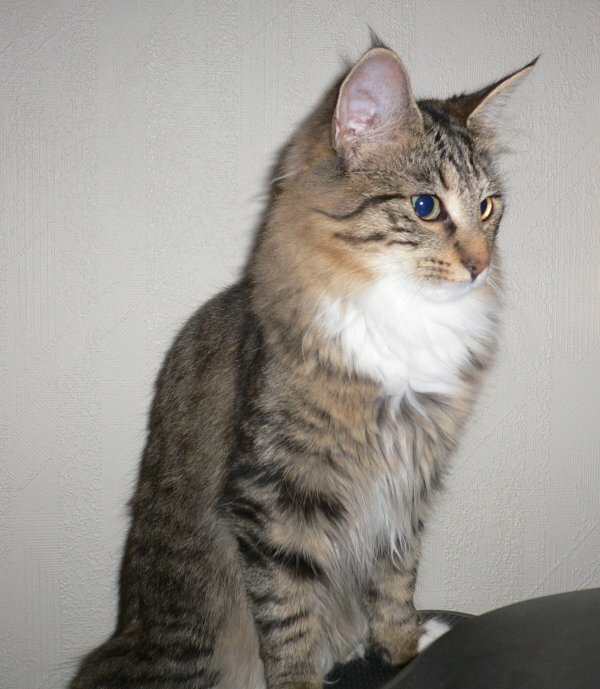 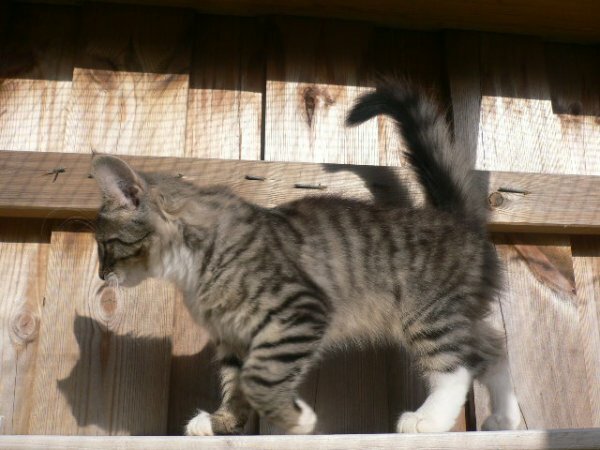 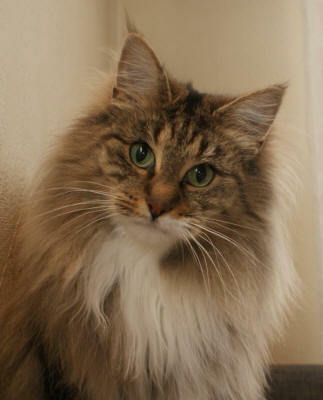 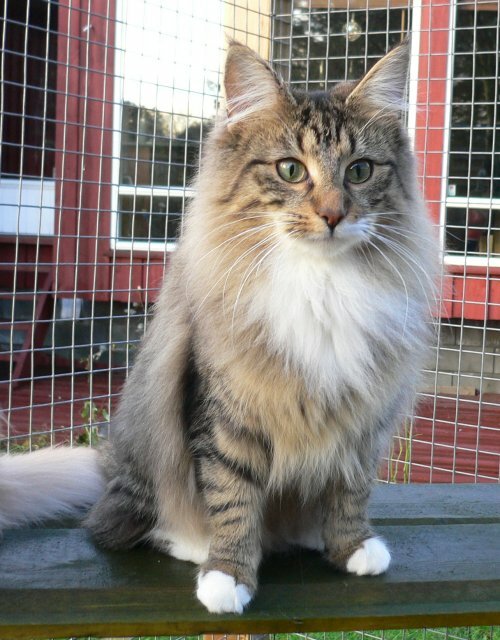 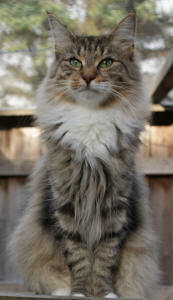 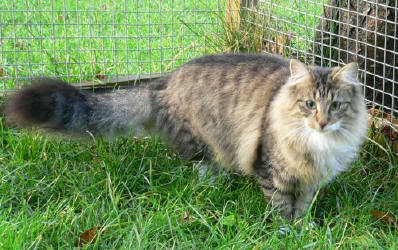 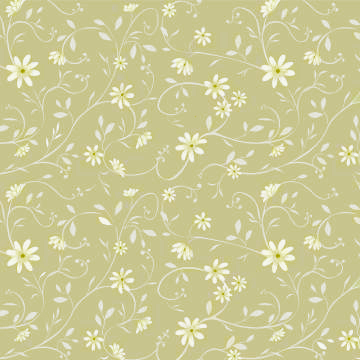 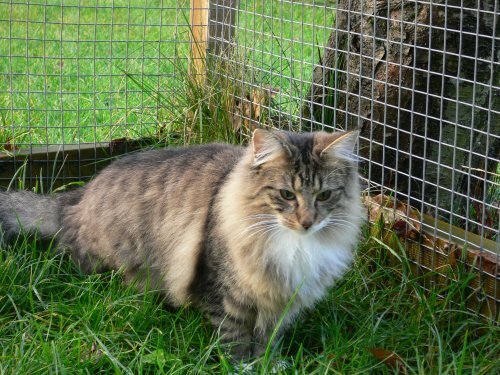 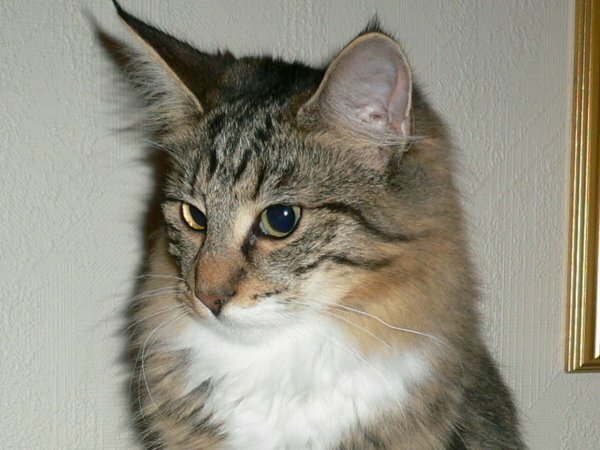 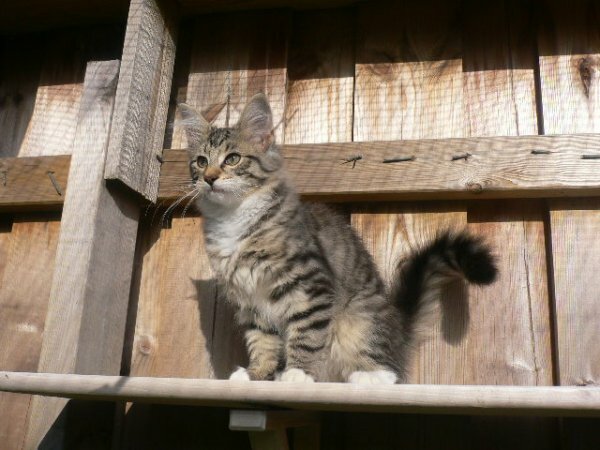 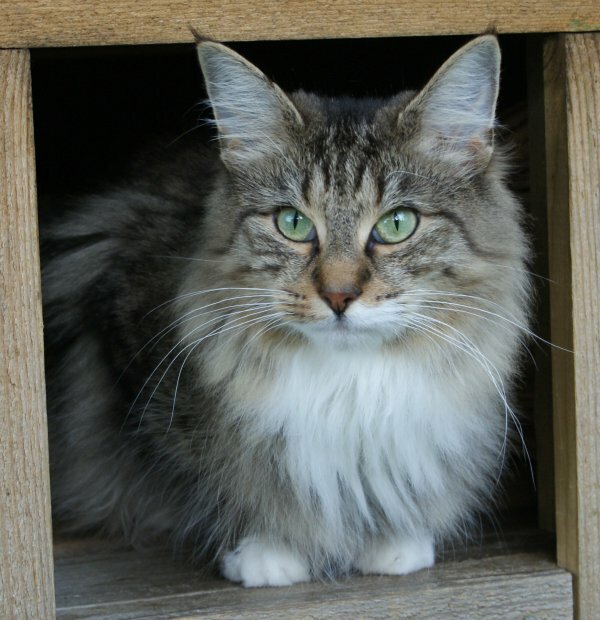 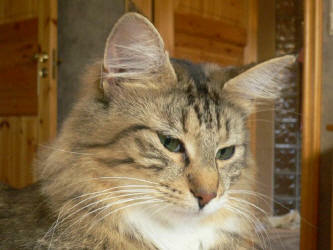 She has had two beautiful litters and she gives many of her qualities on to her kittens. She is a SUPER mother to her kittens. Elvira is my girl and she is very close to me. Thank you, Dag and Nina, (N) Nordlibakken’s, for this beautiful princess.